Watch our video about our company, our products and see some details of our production process. Click through our corporate brochure to see our values and vision behind the Tilcor brand. The Tilcor range caters for all types of construction from residential to light-commercial and public works, and comprises seven distinct profiles –Tudor, Shake, Royal, Bond, Classic, Roman and Shingle.. We pride ourselves in being one of the best roof shingle companies and provide the best roofing sheet in Nigeria. * Shingle and Roman are not available in EU or North American markets. 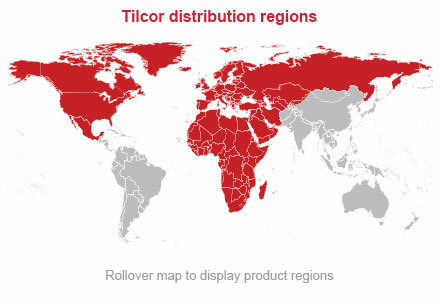 All Tilcor products are manufactured at their New Zealand factory, which is ISO 9001-accredited and has developed an enviable reputation internationally for excellence in product design, quality manufacturing and competitiveness. Tilcor is one of the best roofing companies and have roofing systems that offer exceptional strength and durability in the harshest climates. Tilcor offers the high quality roofs in Nigeria. They are water, fire and earthquake resistant; they can withstand hurricane-force winds and are backed by a Tilcor Roofing Systems warranty. WE manufacture high quality stone coated roofing sheets and Metal Roofing tiles in Nigeria.